Neil Young & Crazy Horse’s new record, Americana, is streaming ahead of it’s release on Monday so we thought what better but to celebrate the multi-hit, multi-award winning, multi-talented musician that is Mr Young. The Canadian has blessed our ears ever since 1968 when he released his self-titled debut album. He’s an iconic figure in music that was influenced in his early career by Bob Dylan and play while he was playing folk clubs with Joni Mitchell before going onto play Glastonbury, put on tribute concerts and write some of the greatest songs in modern music. As always, get in touch with us on our Facebook Page, Tweet #Young6Music, drag a track onto our Spotify playlist or e-mail us with what you want to hear on Sunday from 6pm. Last Wednesday would have marked the 78th birthday of Dr Robert ‘Bob’ Moog – the man who revolutionized music with the invention of the Moog synthesizer. 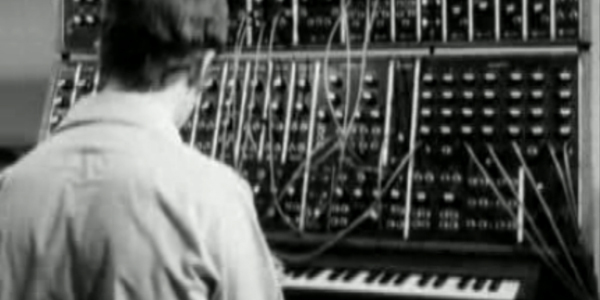 This instrument was seized up the likes of The Beatles, The Doors, Stevie Wonder in the late 60s, but it was the introduction of the Mini Moog in 1970 which ushered in a new age for synthesized music. Thanks to its portability and price, it was seized upon by aspiring electronic musicians, paving the way for prog rockers like Yes, Tangerine Dream and synth pioneers Kraftwerk . This week Google dedicated their homepage to the Moog, and with such an outpouring of analog synth love online this week, what better perfect subject to base a playlist on for this Sunday’s Now Playing on? Get in touch with us in the usual ways – on Facebook, Tweet #Moog6Music, e-mail the team or drag a track into our collaborative Spotify Playlist. And make sure you tune into 6 Music from 6pm on Sunday to hear the playlist with Tom Robinson. This Sunday from 6pm on Now Playing we’re inviting you to pick the music through the filter of Paul Smith (@PaulSmithMusic) from Maximo Park. Paul will be on his Twitter account for the duration of the show taking on board your suggestions for tracks and picking his favourite which we’ll play on the show. He said: "I love sharing and enthusing about music with people and Twitter is now one of my main outlets for telling the world what I'm enjoying right there and then. “I'm thankful to Tom Robinson and 6Music for allowing me to inflict some choices onto their loyal listenership, and to allow Maximo Park's audience to suggest some of their own favourites." He’s already chosen a couple of his favourites to kick start the show – we won’t tell you what they are just yet but they include a Motown legend, a English art rock band from the 1970s and 80s and a track which begins with 16 seconds of silence. 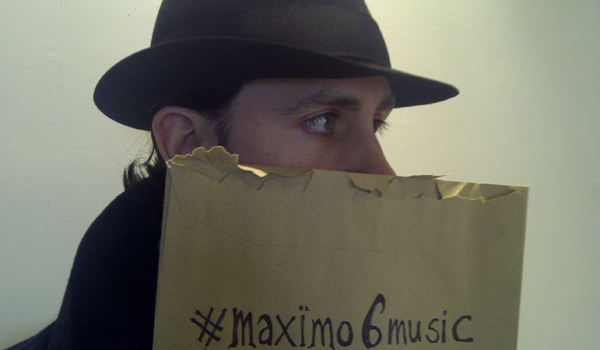 As always it’s up to you (well and Paul this week) so let us and him know what you think by Tweeting #Maximo6Music, leave a message on this blog or our Facebook page, drag a track onto our Spotify playlist or send us an e-mail. And remember to tune in on Sunday with Paul Smith and Tom Robinson. On Monday i was lucky enough to attend the Sony Radio Awards with the Now Playing@6Music team and a handful of other 6 Music presenters. As the programme is made by independent producers Somethin' Else, we found ourselves sitting with representatives from their other nominated shows including Gardeners' Question Time and legendary reggae DJ David Rodigan (below right), whose Radio 2 show went on to win a Gold for Best Specialist Music Programme. To say that the Sonys are opulent is like saying Bill Gates is quite wealthy. As a committee member, I get to attend the Ivor Novello Awards each year but even that annual gathering of talent hadn't prepared me for the Sonys. On Monday the room was positively heaving with the successful, the famous and the important. Not having the smallest idea who most of them were only made me feel like a very small part of an extremely large media machine. However I was heartened to spot the meeters and greeters. As tickets were checked on the way in, any guests with VIP invitations would be directed aside to have their picture taken - by an army of waiting photographers - in front of a specially erected backdrop of Sony Academy wallpaper. Having run this gauntlet, a team of attractive young women and men would then meet them, greet them, press drinks into their hands and conduct them to the company of their fellow celebrities. The heartening thing? These young people had no more idea who any of the celebs were than I did. Each of them carried a discreet clipboard full of photos so that they could identify and greet their VIPs by name and ensure that their importance was not improperly appreciated. Now Playing @6Music was originally conceived by 6 Music, Audio & Music Interactive (who manage digital media for the BBC's radio stations) and Somethin' Else as a weekly audio iteration of a daily online conversation about alternative music. I love fronting the show and helping to draw together its various strands on air and online each week. I've been lucky to have a really enthusiastic production team; Rowan (above left) has an encyclopaedic knowledge of music that enables him to filter the incoming deluge of suggestions and improvise killer playlists on the fly, and that deluge is itself the result of the daily blogging, tweeting, posting and Spotifying of our online producer Will. It's them, and all the other peple who've contributed to the show, who richly deserve the 2012 Sony Gold award for "Best Use of Multiplatform/Social Media" that Rowan and I are clutching in the above picture. 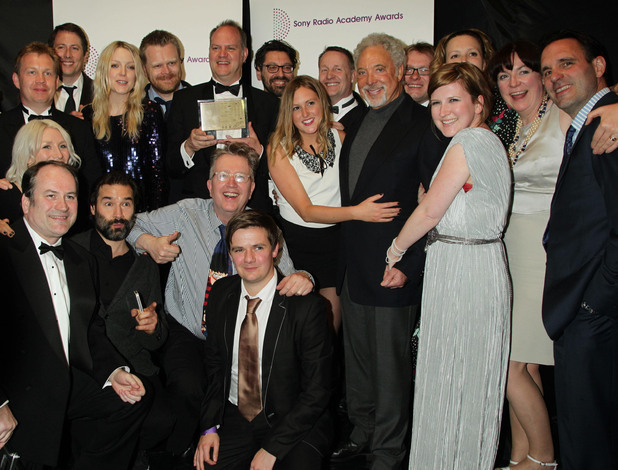 But gratifying as it was to get recognition for our own particular programme, the award that meant most to all 6 Music team players was the one our entire station received at the end of the evening: "Sony Radio Academy Station of The Year". On Friday evening came the terrible news that Adam Yauch had passed away aged just 47. The Brooklyn rapper performed as MCA with the Beastie Boys who became one of the most important and influential acts of the ‘90s. Tonight’s show was meant to celebrate the great Bobby Womack, but we felt given the magnitude of this news and the widespread feelings of sadness from all corners of the musical world we should celebrate the huge impact MCA has had. Get in touch by leaving a comment on this blog, or Facebook. Tweet us using #MCA6Music, e-mail or add a track to our collaborative Spotify Playlist. One of the most distinctive voices in music belongs to a man who could make the world stop, and this week the title track to his new album, The Bravest Man in the Universe, cased quite a stir online. From Pitchfork to Earmilk, Bobby Womack has been the single artist who people can’t stop talking about – so we thought why not dedicate an hour of this week’s Now Playing to the soul legend. With more albums than I have years under my belt, Womack is a true music icon and there’s a plethora of music for us to choose from. •	Your favourite Womack tracks, whether it’s some of his classics like Across 110th Street or California Dreamin’ through to B-sides and rarities. •	People he’s worked with which ranges from Janis Joplin to Mos Def and Aretha Franklin, Ronnie Wood and Chaka Khan. •	How about XL artists as Richard Russell has co-produced the record and it’s coming out on the label. •	Through to all the other great voices from R&B and soul like Otis Redding, Curtis Mayfield or Sly Stone. As always the playlist is up to you – let us know what you want to hear by leaving a request on our Facebook page or this blog, e-mail or Tweet us using #Womack6Music or drag tracks onto our collaborative Spotify playlist. And remember to tune in from 6pm on Sunday to join in the conversation.